Lentex LLC, located in the second largest city in the country, Gyumri, is the only Armenian factory producing the full range of socks and hosiery – more than 100 products of different colour and size, for people of different age and for different seasons. Aiming to comply with high business standards, the company implements environmental, quality assurance, staff development and community policies. 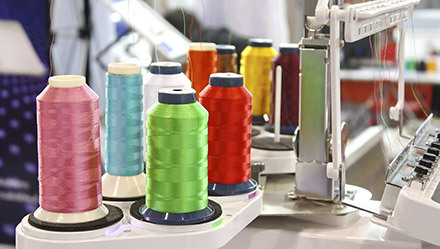 Suffering from high energy costs, the company decided to replace its 62 old knitting machines and addressed Energocredit for a loan and advisory package. The Energocredit team performed the analysis of various aspects of the investment, primarily the potential of energy savings, financial-technical parameters and risks. The project included replacement of 62 old knitting machines with 48 new and efficient units. The $660,000 investment allowed Lentex to reduce its electricity consumption by 1,385 MWh per year, which is equivalent to $111,000. The investment will repay itself out of energy savings in just six years, turning the future cash-flows into company’s income for the years to come. This project has a significant impact on stability of Lentex’s profits and its future, allowing it to further implement other socially responsible projects. This is a good example of how new technologies bring high energy savings in processes where such savings were not expected with a naked eye. This proves once again that energy and cost savings may occur in all types of sectors and technologies, meaning it is worth pursuing all such possibilities with the help of in-house or outsourced expertise. This project was supported by the European Union and Austria.